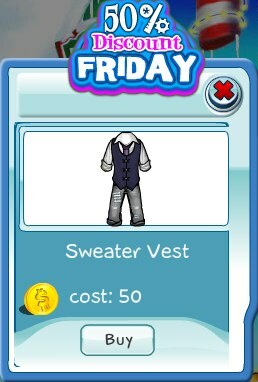 This week's 50% Discount Friday item is the Sweater Vest outfit. You get a pair of worn in jeans, a dress shirt with tie, and a button-down sweater vest. The discount is ends today, so get one now!